The keen and green way.. 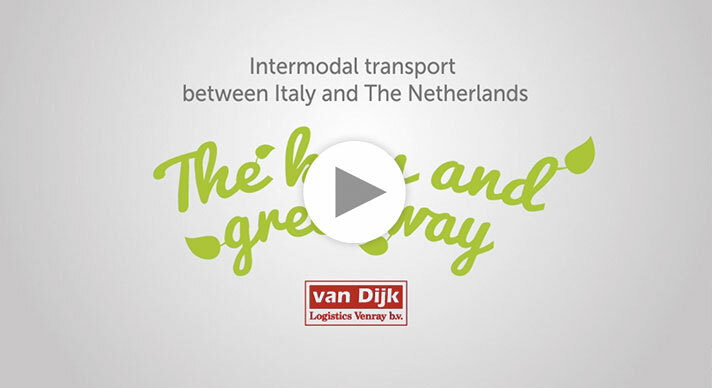 If you want to transport goods between the Netherlands and Italy, you need an Italian specialist. Van Dijk Logistics combines speed, efficiency and sustainability, which is the ideal mix and is also an inexpensive option. We also offer perfect service and a wealth of experience. Van Dijk Logistics is a fourth generation family business with its own offices and warehouses in the Netherland and in Italy. We transport goods primarily by rail, and we also provide an efficient terminal road service on your behalf. This sustainable and environmentally friendly approach results in lower CO2 emissions and considerable cost savings. Think green, book keen!